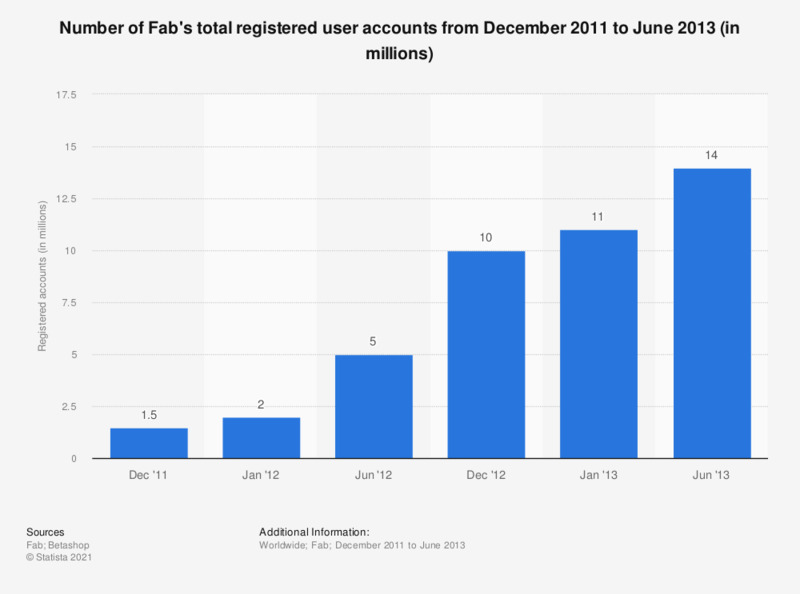 This statistic gives information on the number of members registered on social commerce site Fab.com. As of June 2013, according to company blog Betashop, Fab had accumulated 14 million users worldwide. Figures regarding December 2011 and 2012 were taken from a previousBetashop blog entry.